Beverages are Alastair’s excuse to get concentrated fruit in a glass. Beverages are also my trick to getting protein in my children. This one makes a great breakfast, in fact. 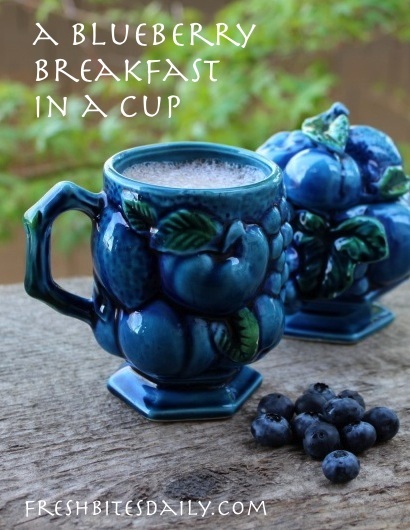 I used a simple custard approach with this drink just varying the recipe with the fresh blueberries, though frozen berries would work too. The drink was a hit but that is not really a surprise. You cannot go wrong with a custard (unless you overheat your milk). It is a winner every time. Separate your egg yolk from the white and set aside. Stir the yolk with a whisk or fork and add it to the heated milk. Whisk and whisk for about a minute. 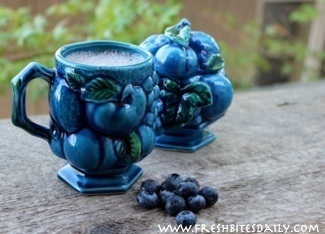 Add the blueberries to a blender with some of the milk mixture (1/2 cup if plenty). Blend well. Add the blueberry mixture back to the remaining milk mixture. Add sweetener if desired and check for sweetness. Serve.